While the tongue map may have been thoroughly debunked, what about our brains? Does each kind of flavor get processed in its own little corner of our grey matter? According to new research, they just might. 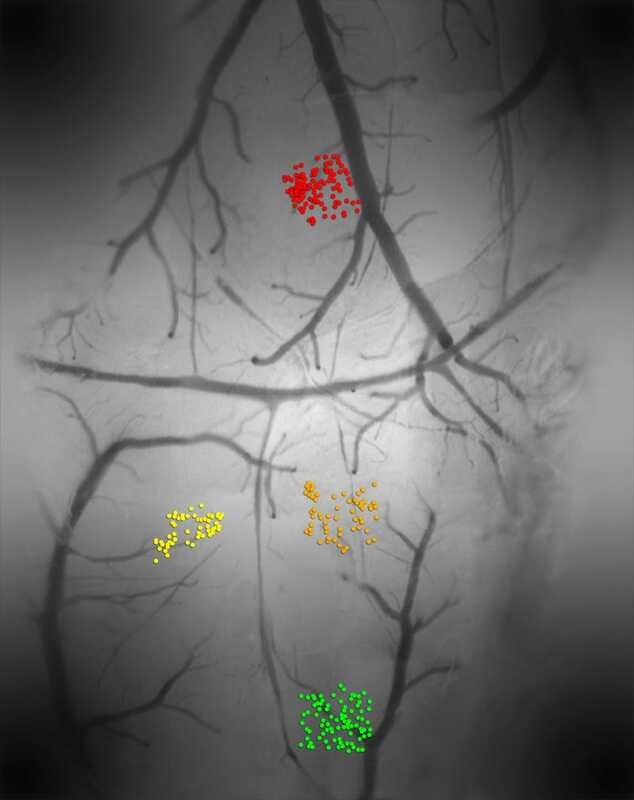 The image above is of the taste cortex (insula) of a mouse, with each of the color clumps representing one of four of the five primary tastes. Red is bitter, green is sweet, yellow is umami, and orange is salt. While the researchers also tested sour foods, they didn't spot a sour cluster, either because it was elsewhere in the brain or because sour food can also mess with pain pathways in the brain, as well as taste. What's interesting is how densely packed these taste hot spots are. Apparently, very few flavors cross over from one region to the other. In case you're curious what foods the researchers used as perfect examples of each taste type, they were: quinine and cycloheximide for bitter, sucrose and acesulfame potassium for sweet, MSG for umami, NaCl for salty and citric acid for sour. So, how long before we start hacking our brains to taste completely new flavors?